See Why Better Properties Meridian is the Best Thing to Happen to An Agent Since, Well, Real Estate! Better Properties Meridian is a locally owned and operated real estate company located in Downtown Puyallup for easy access. We believe in providing our agents with the highest level of support and encouragement! Nationally, the trend is running against franchised offices. 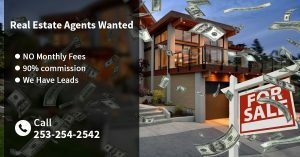 Their traditional high costs and overhead along with the bloated and unnecessary services all result in low commission payouts to agents. Over the past seven years independent offices that are efficiently run and that offer only essential services with the best commission splits have become the largest individual real estate offices in the state. After careful examination of other independent offices, Better Properties Meridian has decided on a simpler, easier way to administer the commission procedure, allowing us to stay competitive. ❓So the question ins’t why Better properties Meridian it’s why not!? Keep more of the money you earn. If you’ve been looking for a way to increase your productivity, then Better Properties Meridian is your answer!